The Wolf Tooth Powertrac Chainring works with your biomechanics to achieve optimal efficiency and power with every pedal stroke. Not only will you gain more power, but you will also benefit from greater traction, and less shifting. Wolf Tooth's proprietary design is less ovalized than its competitors, eliminating the funky, uneven pedaling sensation while delivering the optimum pedal stroke. 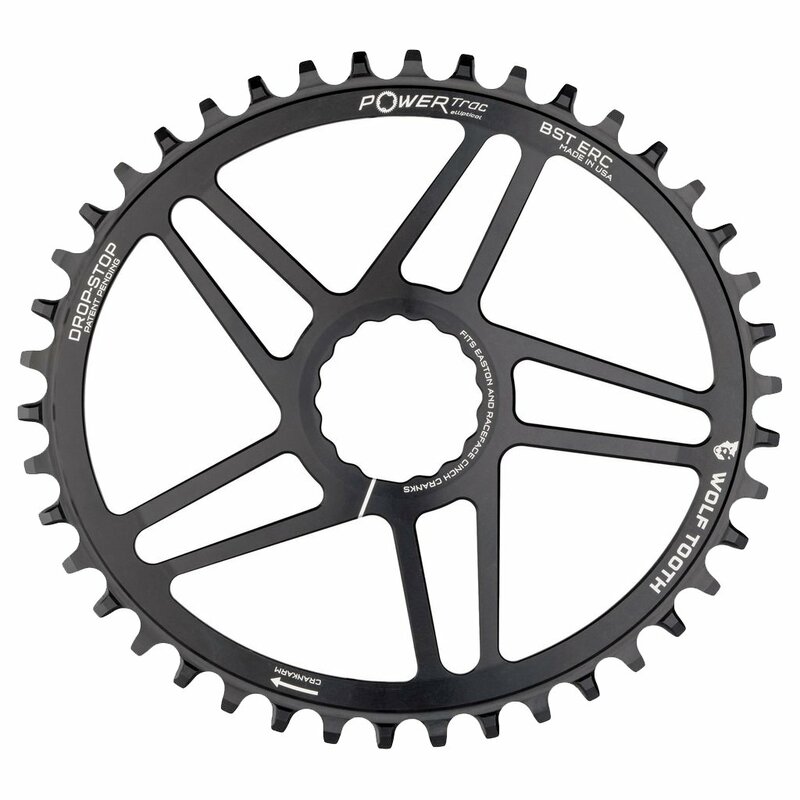 Just like Wolf Tooth's other single speed chainrings, the Powertrac features Drop-Stop tooth profile that holds chain snugly to the chainring. 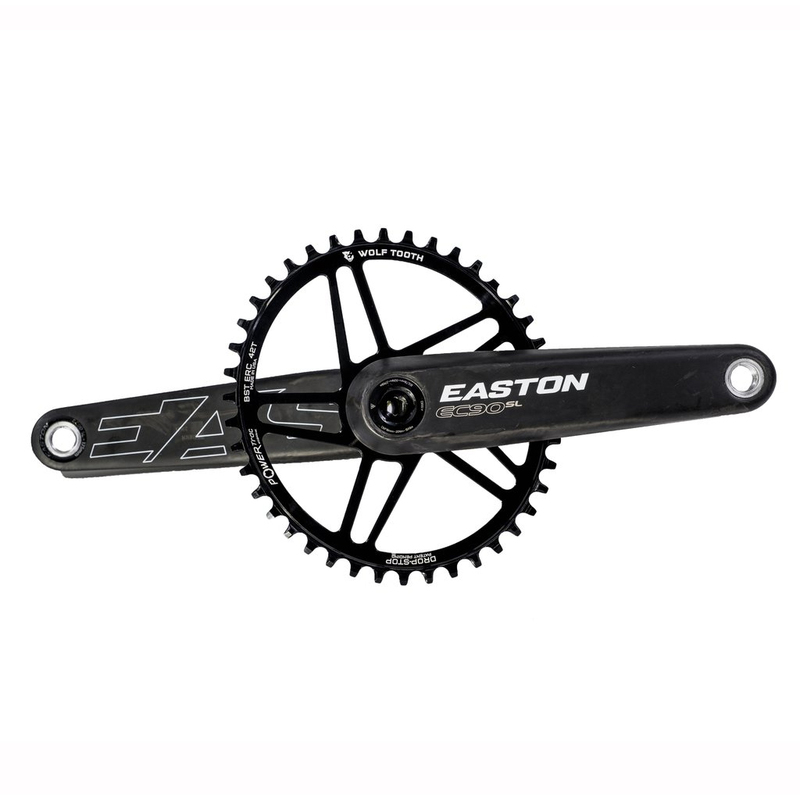 This specific chainring is designed for Easton Cinch direct mount cranksets.